DDS-03 – Diver detection sonar. 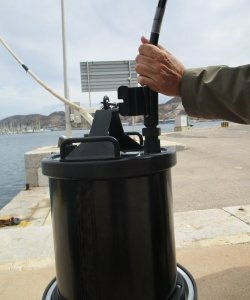 SOLARSUB –Digital Towed Sonar with automatic deployment and collection system. SICLA – System for Acoustic Classification and Intelligence. MILA – UW demolition charge for Special Operations Forces. Systems for Mine Countermeasure Vessels. ROASW – ASW solution based on sonobuoys for helicopters and ships. SPAS – Sonobuoys acoustic processor system. Tactical submarine simulator for training purposes. TAT – Tactical and acoustic operator trainer for ASW missions. SIMSEN – Underwater sensor simulator. 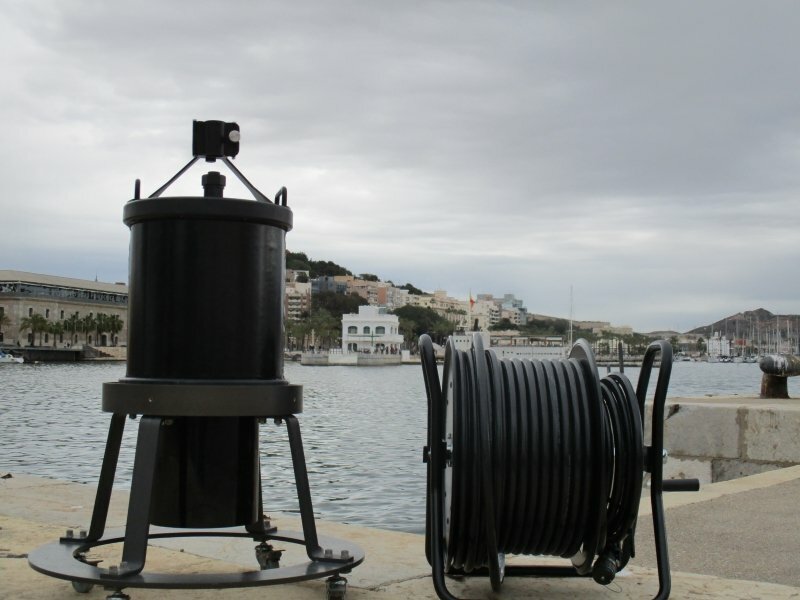 DEWARS – Submarine acoustic signature measurement system. 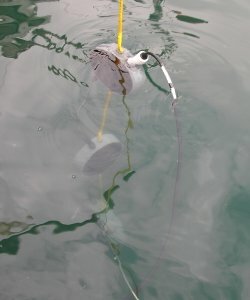 SDH – Smart digital hydrophone. SOURCE-TYP. Underwater noise source characterization and typification. Engineering specialized in naval programmes. Training in underwater acoustics, sonar operation and signatures. SAES Chair at the University of Murcia. Dealing with underwater threats such as divers or light underwater vehicles requires incorporating highly specialized sensors into the surveillance system that can detect divers or other underwater intrusions, like underwater vehicles. These types of underwater threats can be easily circumvented. The solution is to incorporate diver detection sonar into the surveillance system of those military and commercial ports, power stations or petrochemical plants, oil platforms, anchored ships and other high-value assets with access to water mass. Response to any scenario, even in warm waters. The DDS-03 (Diver Detection Sonar) has given excellent performance in various operating scenarios even in unfavourable conditions like warm water, one of the main difficulties that can compromise the performance of any active sonar. The DDS-03 incorporates a tool to predict the detection range and to recommend the best depth to deploy the sonar. Once the system is deployed, it continuously emits acoustic pulses, the echoes being received and analysed automatically. By detecting a threat and tracking it, an alert is automatically generated, indicating the position, speed, trajectory and type of contact, enabling the emission of a deterrent message to the diver in the water and the deployment of a patrol to the area. In addition, the system incorporates powerful processing algorithms to minimize false alarms. To facilitate reaction to a threat, two optional elements can be incorporated into the system: a deterrent system (DES) and an application for mobile devices. The DES system emits messages or sounds into the water to dissuade the diver from continuing his approach. These messages can be live, from a microphone in the system, or pre-recorded. The application for mobile devices allows for monitoring the position of the threat from a mobile device in order, for example, to track its position from a surveillance patrol. • Maximum detection range in adverse conditions. • Automatic threat detection, classification and tracking. • Angular coverage at 90°/180°/270°/360°. • Security perimeters can be set with zonal alarm suppression. • CW and FM pulse emission. Adjustable levels. • The integration of sensors to compensate for any movement of the submerged unit. • Tactical screens with integrated electronic console for high accuracy of threat location. • The integration of multiple Submerged Units in the same Control Unit, enabling the establishment of wide areas of surveillance. • Different deployment modes (seabed, port, anchored vessel). • It can work as autonomously or be integrated into a surveillance system. • Small size, light weight and low maintenance. • Optional Remote Monitoring using wireless devices. • Recording and playback capacity. • Acoustic performance prediction tool. • Integrated BITE – three testing levels of system performance.